Kangaroo Island in South Australia, is Australia's third largest island. Discover a world of amazing places to visit on Kangaroo Island. 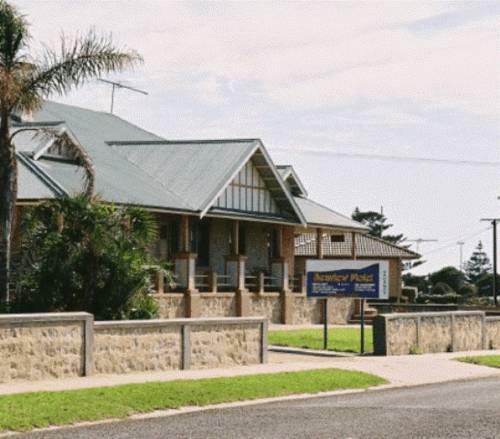 Kangaroo Island is simply stunning, with a wide choice of lodgings from budget to pure luxury. There is so much to experience on Kangaroo Island. 51 Chapman Terrace Kingscote, South Australia. Kangaroo Island Australia is a 'Web Magazine' website that is dedicated to all things related to Kangaroo Island. We are passionate about Australia's great southern island, its vast marine and wildlife, its white sandy beaches, its turquiose waters and the unforgetable experiences that are waiting for all who visit. Our aim is to discuss Kangaroo Island, its history, its environment, its wildlife and its spectacular destinations. We hope that this website will inspire all who visit, just as much as Kangaroo Island has inspired us.